Nurses are often the first contact point a patient has when seeking medical assistance at clinics and hospitals, as well as being the medical personnel on their feet around the clock routinely checking up on patients and responding to any problems or developments in patients’ conditions. As such, you’ll never find a nurse without their stethoscope – a critical part of any medical personnel’s arsenal, nurses need this tool for anything from checking blood pressure and chest congestion to a patient’s vitals if they’ve just been brought into the emergency ward, to report to a doctor so they can begin appropriate treatment straightaway. 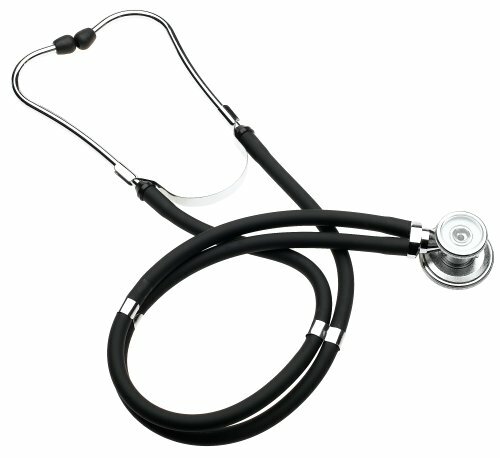 Naturally, then, the importance of picking a good stethoscope cannot be understated – accurate diagnoses, sometimes a matter of life and death, are reliant on it. The choices, considering their number, can be overwhelming, and oftentimes the right stethoscope is really a matter of preference. To narrow down your options under one comprehensive shortlist, we’ve rounded up our picks for the best stethoscope for nurses. 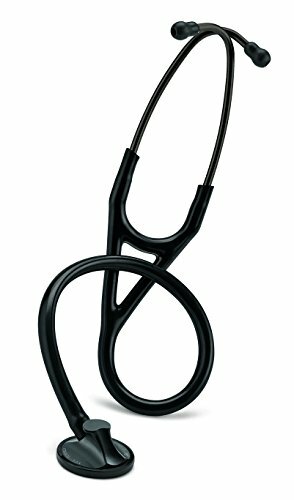 Littmann stethoscopes are an industry standard for their enduring quality and performance, and our top pick is no exception. The single-head chestpiece of the unit simplifies picking up sounds of a range of different frequencies, allowing you to alternate between low and high range frequencies thanks to the tuneable diaphragm by alternating the pressure with which the chestpiece is applied to skin. A firmer pressure is appropriate for picking up high frequencies, while a gentler pressure is sufficient for lower frequencies. This subsequently can save precious seconds when you need to make swift diagnoses, without having to fumble with a dual-sided chestpiece to use the right side. The non-chill rim and diaphragm avoid causing discomfort to your patients, the tubing latex-free and therefore not risky to use with patients who might be sensitive to certain synthetic materials and plastics. In fact, the tubing is structured to be resilient and durable, holding up to being folded and stuffed in pockets and bags, and resisting alcohol or oil spills and staining. Noise interference is also negated since the tubing is dual lumen, or two in one, to avoid the problem of two external tubes rubbing together and making it difficult for you to pick up acoustic cues accurately. 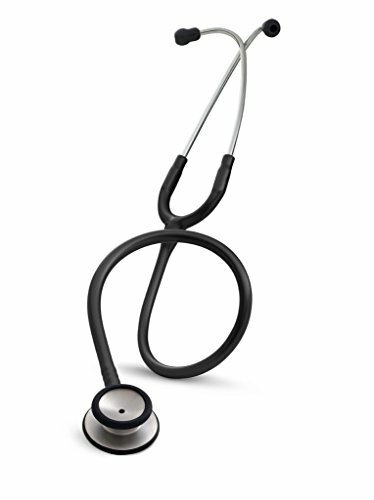 With stainless steel binaurals and chestpiece components – not only a durable metal but also capable of transmitting sound crisply and clearly – the stethoscope’s headset features an anatomically designed headset with the earpieces sitting aligned to the ear canal for maximum accuracy and comfort in use. The ear-tips are soft-sealing silicone which both insulate sound and prevent external ambient noise from filtering in and interfering with the amplified sounds the chestpiece picks up, as well as sit comfortably in your ears without hurting you. Headset tension also easily and comfortably adjusts to different head sizes and shapes. To enhance its versatility even further, the unit includes a Special Procedures Adaptor suitable for pediatric or neonatal auscultation, so you can use this stethoscope when checking up younger patients too. A versatile yet budget friendly unit, many practitioners who swear by this stethoscope propose the simple solution of taping the external tubes together to prevent them rubbing together, as a straightforward solution to the problem of noise interference some may otherwise experience. With that out of the way, we’re duly impressed with this very reasonably priced unit – with a dual-sided chest piece, the stethoscope nevertheless covers its bases with two available diaphragm sizes and three bell sizes, so you can pick up a broad range of low to high frequencies as well as check up everyone from older to younger patients, without needing separate stethoscopes for the job. The latex-free tubing ensures you’re safe from the possibility of triggering an allergic reaction in patients, this stethoscope a lightweight option easy to carry around all day and a brilliant option for nurses-in-training or personnel on a budget. A dual-sided chestpiece features an open bell end for picking up lower range frequencies and a wider disc diaphragm end for picking up higher range frequencies. Resilient, flexible and wear-resistant tubing is latex-free and safe for use with individuals who might be allergic to synthetic materials, holding up against the abuse of rigorous use without cracking or tearing. However, the tubing is single lumen, so it is less capable of mitigating noise interference and better used in quieter environments, for example in examination rooms and doctors’ offices compared to emergency rooms. Nonetheless, this is a great user-friendly unit with impressive acoustic performance, lightweight to carry around all day and intuitive to use, especially thanks to the tuneable diaphragm feature, which lets you tune into different frequencies by alternating the pressure with which the chestpiece is applied. User-friendliness is also enhanced thanks to Littmann’s anatomically designed headset, conforming to the alignment of our ears and ear canals, with adjustable head tension and soft-sealing, noise-insulating ear-tips making it comfortable and snug to wear. Blood pressure is one of the vitals nurses or paramedics will check in an emergency medical situation, and is a regular part of many routine check-ups as well. 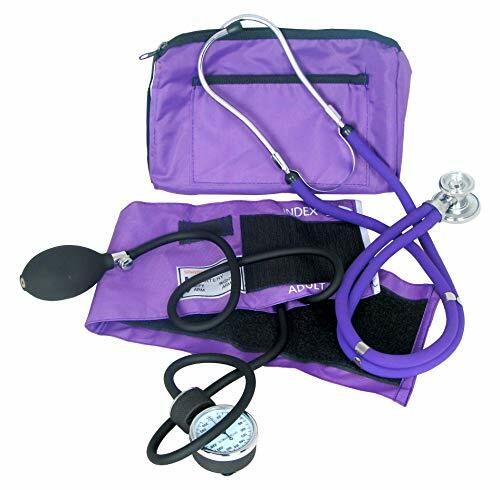 Consequently, this kit, which includes a stethoscope as well as a blood pressure unit including nylon cuff, gauge with spring clip to attach to the cuff, inflation system or pump and touch and hold closure, is an all-rounder for caregivers, the stethoscope usable both on its own and of course in conjunction with the rest of the kit to check blood pressure. Focusing specifically on the stethoscope for the purpose of this article, though, we like the versatility of the dual-sided chest piece, the kit including 3 available bell sizes and 2 diaphragms letting you not only capture sounds of a broad range of low to high frequencies, but also letting you use the same stethoscope for younger patients as well as adults. The affordable and functional kit is great for beginners and nurses in training to ease into the use of stethoscopes with and without blood pressure kits, delivering good value for money without breaking the bank.